Elaine Thomas Interiors was founded by Mimi Zackery, a multi-passionate entrepreneur who launched the firm July 7, 1996. After thinking long and hard about what to call it, she decided to choose love and name it after her parents for bring her into this world to share her gifts and talents. 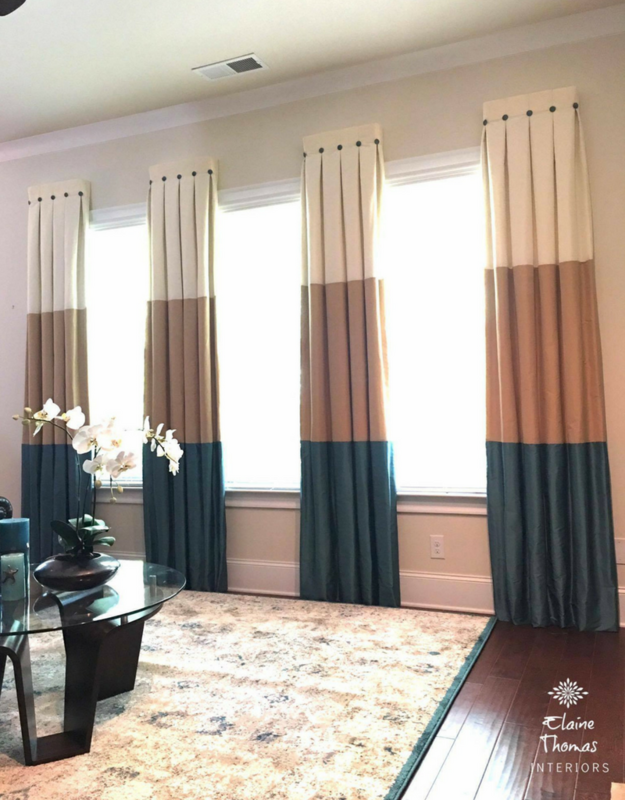 We initially only offered framed art, prints and flower arrangements; a few years later we added staging, custom window treatments, decorating and residential/commercial cleaning. We serviced over 300 clients each month until the 2008 market crash. Mimi then decided to restructure the business and focus on what she loved most, which was working with fabrics and designing soft-goods. Now we specialize in producing beautiful custom window coverings, linens, pillow and shower curtains. Our production team is one of the best located in North Georgia and boasts over 30 years of experience producing custom soft goods. We use fresh combinations of texture, pattern and color to create beautiful products to meet the specific needs of each individual client. By paying attention to each and every detail of a project, we are able to meticulously transform your vision into reality. The firm has also partnered with a U.S. based grocery manufacture to bring you safer non-toxic everyday essentials, home cleaning and laundry products similar to those found in Whole Foods and Trader Joes but offered at a Target and Walmart price point. Feel free to reach out anytime by clicking here to send a note or set up a consultation.